Refreshing and sweet! This classic cocktail will be your favorite summer drink; blended or shaken, garnished with a pineapple wedge, maraschino cherry or both. Don't forget that cute little umbrella. 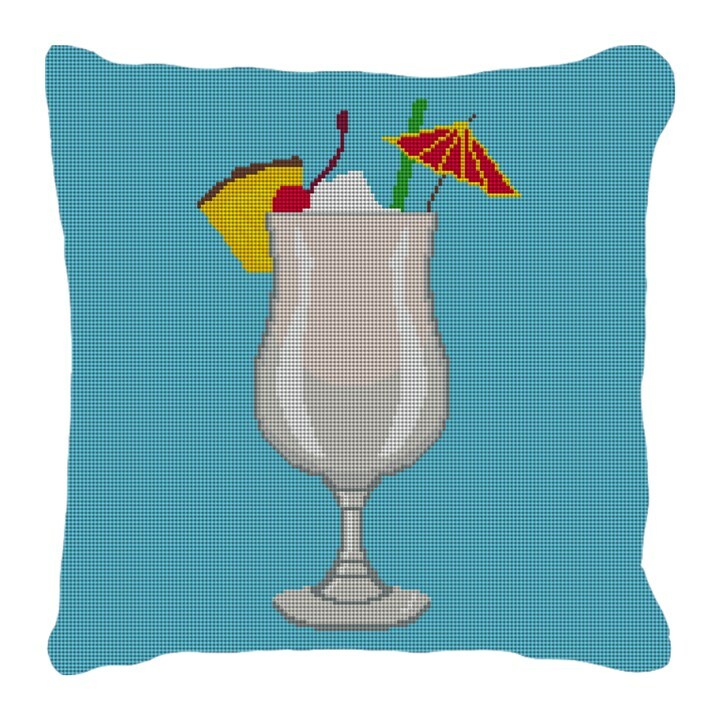 We know this needlepoint pillow canvas will be your new favorite needlepoint project. Perfect for adorning your outdoor living space, or adding a splash of color to your sunroom.